He was also part of the team that designed the propulsion jet pack. Had something gone wrong? 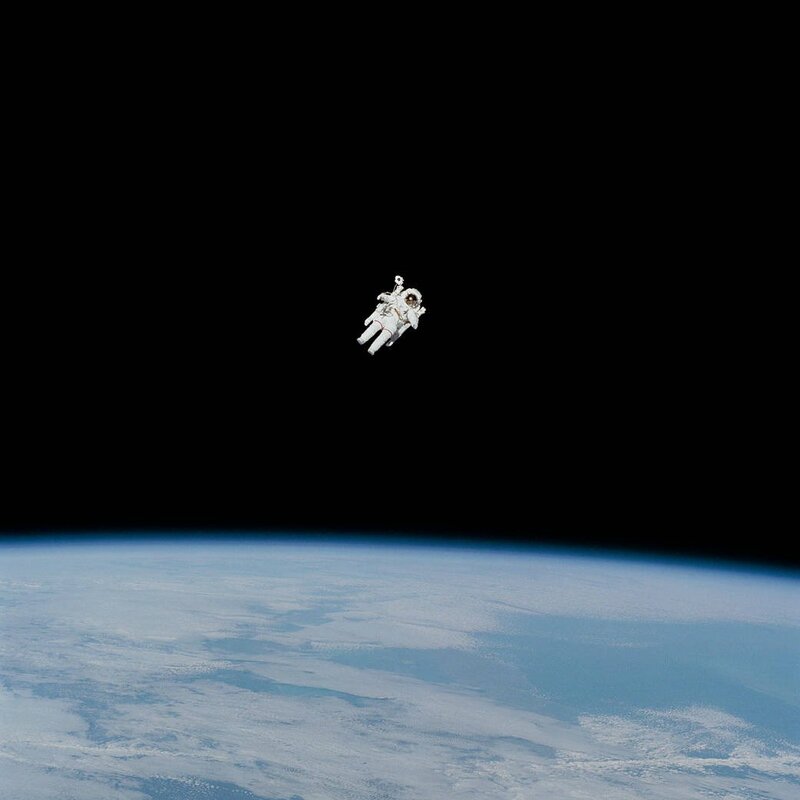 Goodbye Bruce McCandless. Man, that would take some damn balls of steel! Tom Hanks was an astronaut? No stars? Fake picture is fake. All he’d have to do is puncture a small hole in the glove of his spacesuit and use the escaping oxygen to propel him back to the ship. Of course he was. You ever see Apollo 13? It was something they did in Interstellar. I remember that. Seems like NASA did that only once. Zero chance i would have agreed to that. He was the first that returned. I bet there are a couple of cosmonauts that either re-entered the atmosphere without a vehicle, or are still orbiting. It was Mark Watney in The Martian. What, you think he is some kind of botanist? quote: All he’d have to do is puncture a small hole in the glove of his spacesuit and use the escaping oxygen to propel him back to the ship What, you think he is some kind of botanist? Read the book. Watney was an engineer in the book who’s secondary MOS was botanist. He also makes fun of the entire “Iron Man” incident.